Full of shrouded prophecy and escatalogical mysteries, the book of Revelation is often considered an enigma by scholars and lay-readers alike. Now respected preacher and Bible teacher John MacArthur pulls back the veil and reveals more of what Gods Word has to say to us in Revelation. The perfect companion for devotional or scholarly study, Revelation 1-11 will open your eyes to receive the blessing promised in Revelations opening verses. Revelation 1-11: MacArthur New Testament Commentary by John MacArthur was published by Moody in April 1999 and is our 35230th best seller. The ISBN for Revelation 1-11: MacArthur New Testament Commentary is 9780802407733. 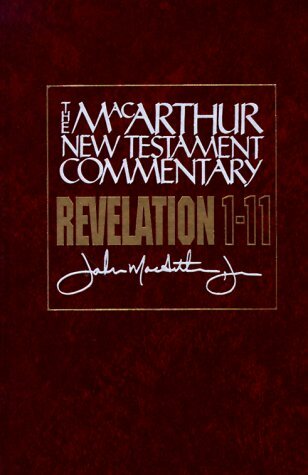 Be the first to review Revelation 1-11: MacArthur New Testament Commentary! Got a question? No problem! Just click here to ask us about Revelation 1-11: MacArthur New Testament Commentary.